B.C. has unveiled its long-awaited plan for reducing greenhouse gas emissions, which calls for shifting homes, transportation and industry away from fossil fuels and into greener energy. B.C. has unveiled its long-awaited plan for reducing greenhouse gas emissions. The plan, called Clean B.C., requires all new buildings to be net-zero energy by 2032, and all new cars sold to be zero-emission by 2040. It also redirects revenue from the carbon tax into incentives like rebates for the province's biggest industries to move to cleaner operations. "We want to make shifts: shifts in our home, shifts in our vehicles and shifts in our industry away from fossil fuels and into green energy," Premier John Horgan told reporters Wednesday. "This is an environment plan, a climate plan, but it's also an economic strategy for B.C. going forward." 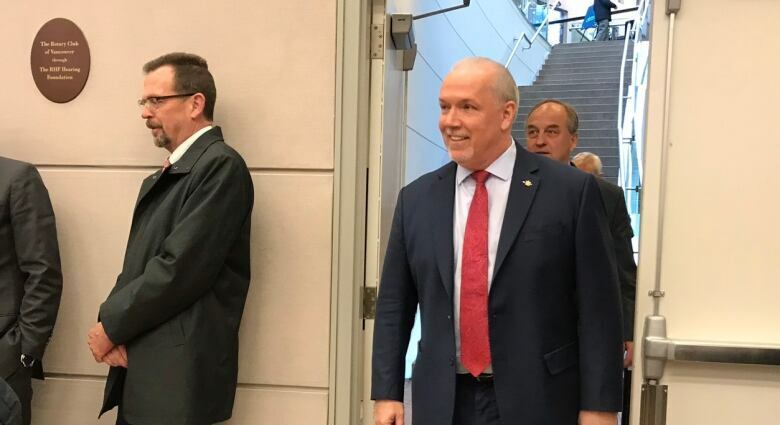 Horgan and Green Party Leader Andrew Weaver revealed the framework in Vancouver, joined by Environment Minister George Heyman and Energy Minister Michelle Mungall. The climate plan is part of the province's goal to cut greenhouse gas emissions by 40 per cent by 2030, 60 per cent by 2040 and 80 per cent by 2050. The reductions outlined in Wednesday's plan, however, only fulfil 75 per cent of that 2030 target. The province said the remaining 25 per cent will be worked out over the next 18 to 24 months. Cleaner cars and cleaner buildings — as well as incentives for people to afford the shift — were highlights of the plan. It said every building built in B.C. will have to be "net-zero-energy ready" by 2032, meaning efficient enough that their total energy needs could be met with renewable energy sources like solar panels. As previously announced, B.C. is also allocating $400 million to support retrofits and upgrades to existing homes and office buildings, including incentives for homeowners to pay for renovations to things like windows and heat pumps. For instance, the plan highlights a rebate of up to $1,200 for homeowners who replace electric heating with a heat pump and $2,000 for those who replace an oil, propane, or natural gas heating with a heat pump. A Clean Communities fund will also be available to remote communities, so residents can apply for grants to upgrade existing housing in their neighbourhoods. "We're not anticipating the public will be able to [afford to] make this change on their own," Horgan said. The province has a target of improving 1.5 per cent of every building in B.C. by 2030 — or 16,000 households a year. As for transportation, the plan says every car sold in B.C. will need to be zero-emission by 2040 — as announced by Horgan last month. The plan, again, offered incentives for people to afford the switch. 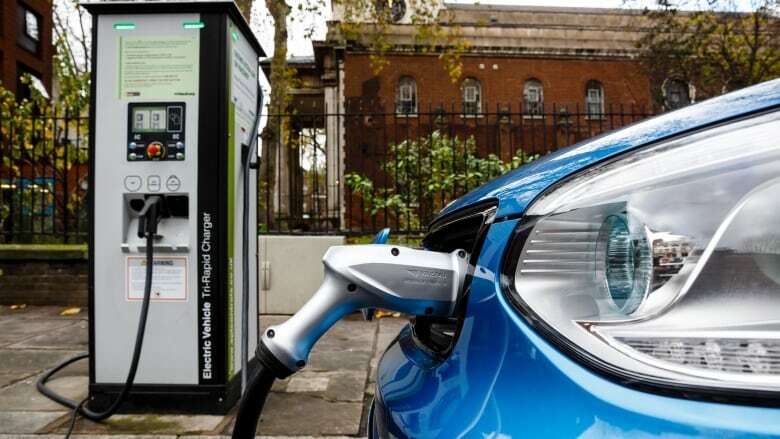 Thirty per cent of all sales of new light-duty cars and trucks are expected to be zero-emission vehicles by 2030, rising to 100 per cent by 2040. A portion of B.C. 's carbon tax, paid by industry, will be saved and redirected into incentives for cleaner operations for industries like mining aluminum and oil and gas. Clean electricity will also be provided to "planned natural gas production in the Peace region." In October, LNG Canada announced its $40-billion LNG project in Kitimat was going ahead. To help ensure the project moved forward, Horgan's government also offered an exemption on provincial sales tax related to construction costs. According to information provided by the province, LNG Canada's plant would be the least greenhouse gas-intensive large LNG facility in the world. Weaver slammed the project after its approval, saying it would clash with the province's climate goals. The Green leader, who worked as a climate scientist before transitioning to politics, struck a different tone on Wednesday. "This isn't a plan to make people spend a bunch of taxes and hurt people's take-home pay," he said. "It is about sending a message to the broad market in B.C. and internationally that B.C. is going to rise to the challenge: 'We welcome business in B.C., but that business will be clean business.'" Weaver also addressed the 25 per cent gap in the plan. "The answer is, yes, we're only 75 per cent of the way there, but look what we've accomplished in doing that," he said. Pembina Institute spokeswoman Karen Tam Wu has said B.C. currently emits about 63 megatonnes of greenhouse gas emissions annually and its goal is to get that number down to about 13 megatonnes by 2050.